A Solon Salute to the 39 play mentors who volunteered their time on a weekly basis to make a difference in the lives of Union Elementary School and Main Street Middle School students. End-of-the-year celebrations took place last week, and mentors and mentees came together to create an incredible piece of reflective artwork, which is now being displayed at Montpelier High School. This Thursday (May 26) at recess, join former Montpelier Public School teacher and running legend Newton Baker in running or walking a mile on the track. Baker will help lead Montpelier High School faculty and students in a one mile challenge. We are hoping to have at least 100 MHS students and faculty join. Newton is well known for his 2015 Race Across America. 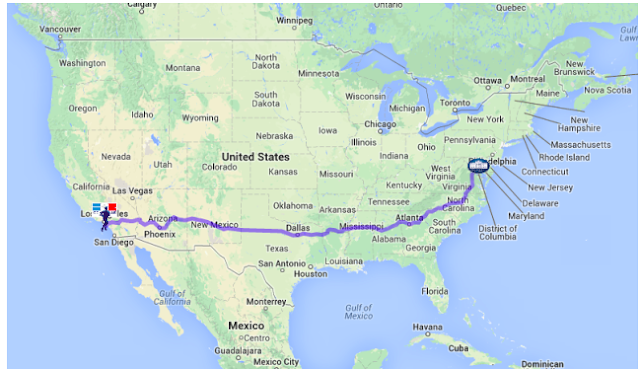 We can all do one mile if Newton can go across the whole country! A Solon Salute to Hugh Wallace and Adam Currier who worked with Susan Koch’s class to explore elementary coding with her students using Bee Bots. 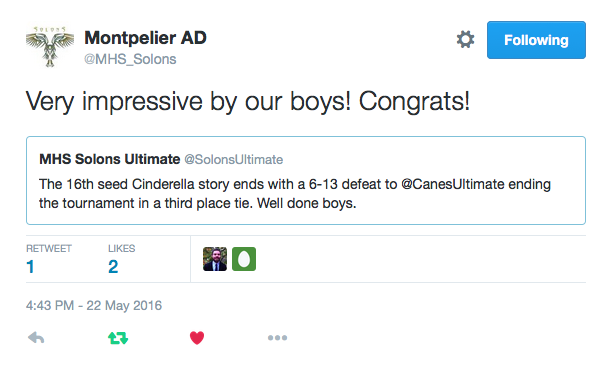 A Solon Salute to the Boys’ Ultimate team. The team was down in Pittsburg this week competing in a regional tournament. The Solons were lowest seed when the tournament started, and finished the tournament tied for 3rd! 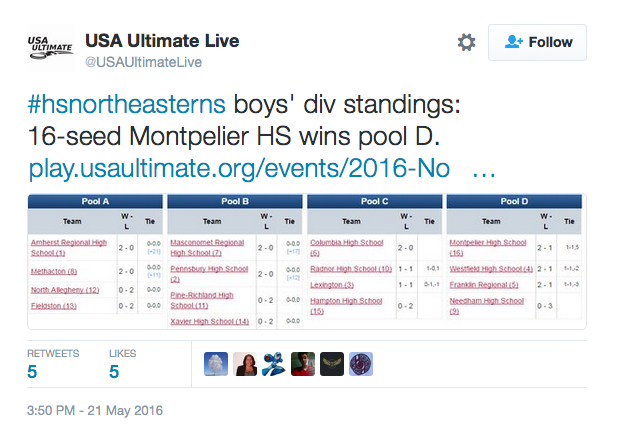 Check out the article from Saturday: Needham vs Montpelier” section under Round 3. “We are the underdogs here, and other coaches have come up to me saying that they’re rooting for us. It’s amazing to me that our school of just 300 has put together a team that’s beating schools with thousands of kids. Regardless of how today goes, I am so very proud of these guys.” (From Coach Anne Watson). 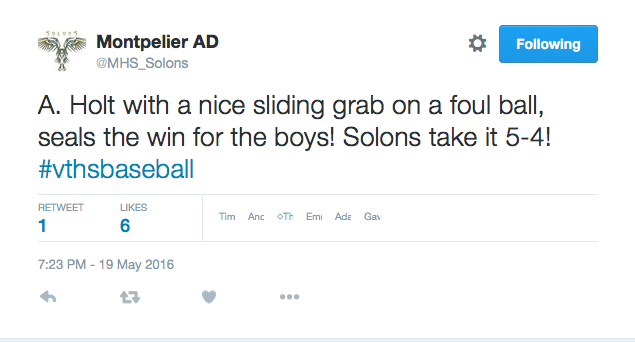 A Solon Salute to the Boys’ Baseball team for their recent win over Northfield. A Solon Salute to our Bocce Unified Sports Athletes. They had a great day of competition in St. Albans this week!